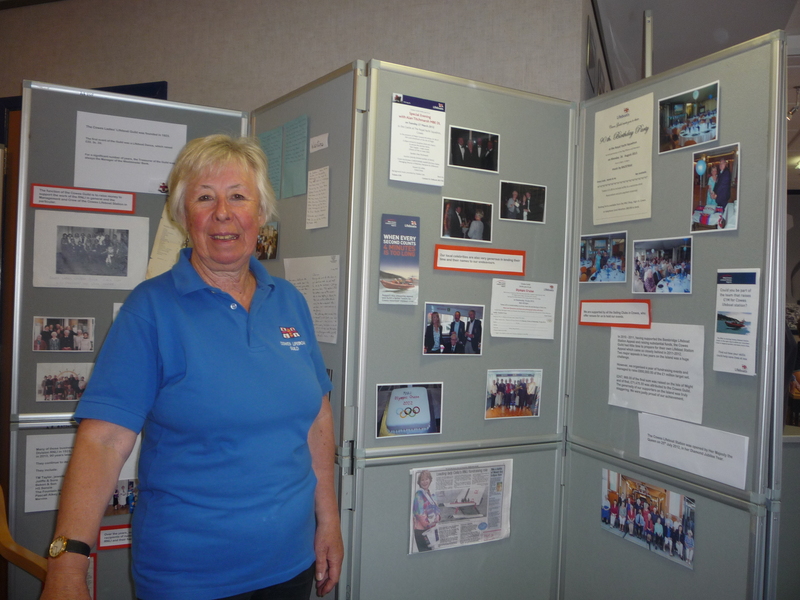 Over the weekend of Saturday 30th June/ Sunday1st July members and friends of Cowes RNLI celebrated a double anniversary by staging an exhibition which was open to the public at Regatta House, Cowes and a re-dedication of the Lifeboat and Lifeboat Station. Staged as a double anniversary exhibition (20 years of an independent Lifeboat + 10 years of the RNLI) there was an impressive number of photographs and memorabilia of two local lifeboat services which have been based in Cowes as well as artifacts from the Cowes Lifeboat Guild which was formed in 1923, long before there was the idea of having a rescue boat based in the town and is therefore celebrating 95 years this year. 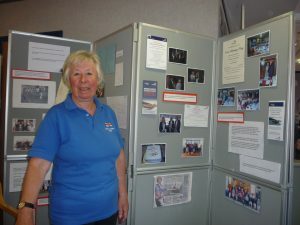 Also showing at the exhibition to compliment the scrapbooks, artifacts and photos was a video which was narrated by the late Shaw Taylor, directed by George Chasney and made by the Independent Lifeboat members team some years ago. It was 30 years ago that Cowes got its very own lifeboat service, the real need for one sparked by a disastrous tragedy in the harbour. 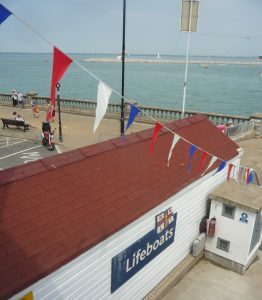 Initially the lifeboat service was an independent operation but then, in 2008, members agreed to its transfer to the RNLI. This led to the national charity acquiring and converting the old Customs House in Watch House Lane, which in 2012 became the first RNLI station in the country to be opened by HM The Queen. On Sunday, as well as the exhibition, there were events at the station with invited guests attending a short service of re-dedication of the RNLI lifeboat service but with reference to the former independent operation. 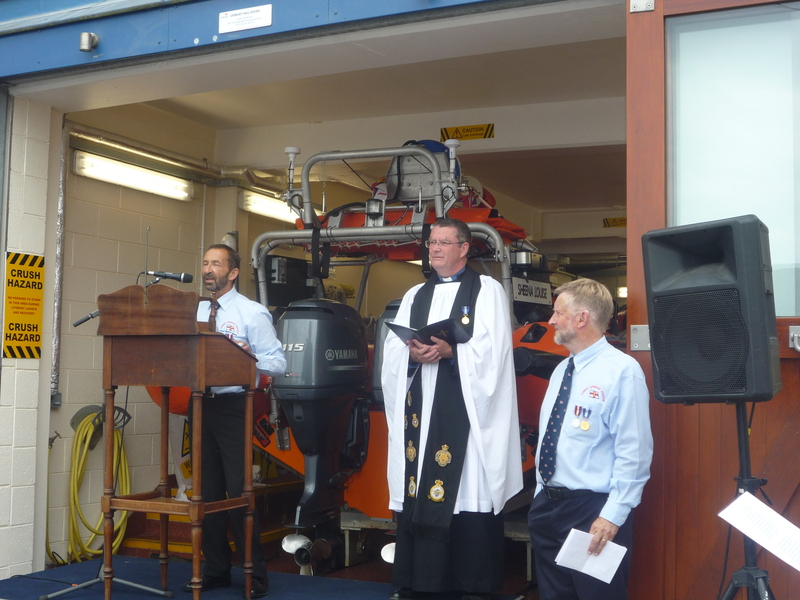 This re-dedication of the station and the current rescue boat ‘Sheena Louise’ was conducted by the station Chaplain, the Rev Andrew Poppe. 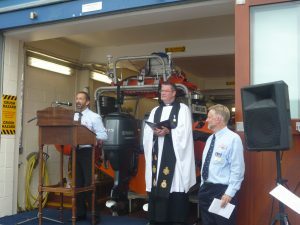 Named after the late Sheena Louise Pollock, whose family funded the lifeboat and were in attendance, Rev Poppe made sure that the vessel took centre stage. 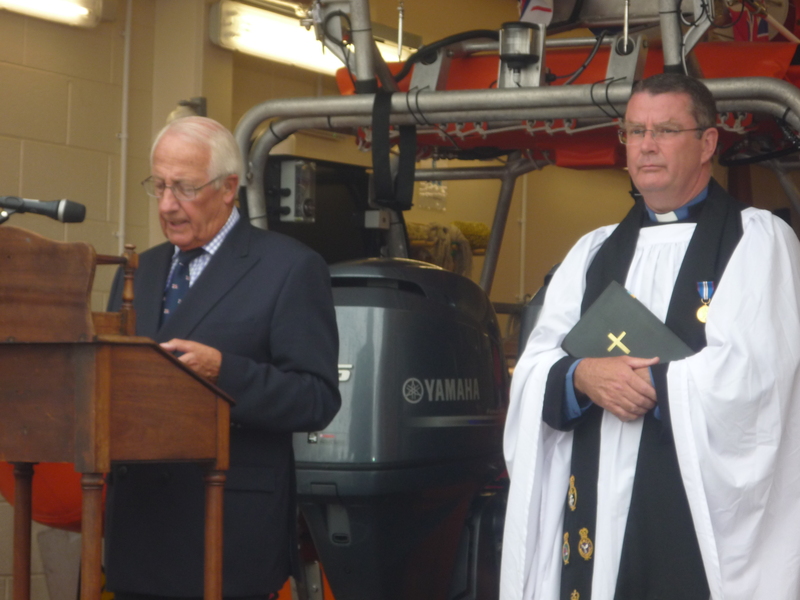 He then invited Hugh Robotham, Chair of the Lifeboat Management Group to give a history of the Independent Lifeboat. It came into being in 1988 following a harbour fatality. 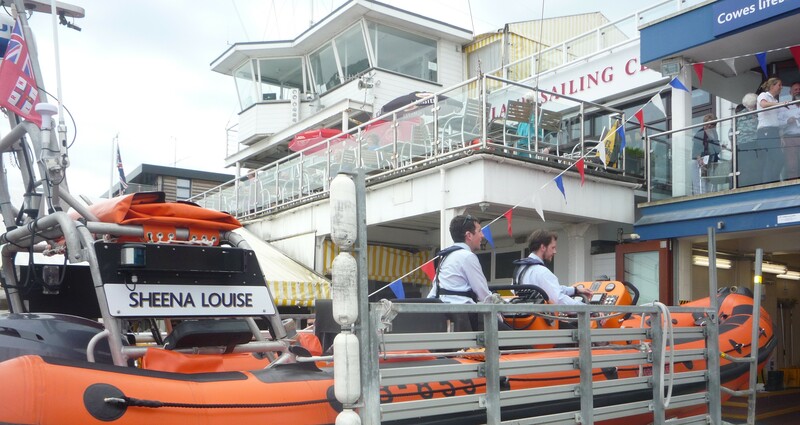 Over two decades three separate vessels saw service in Cowes. Station Operations Manager Mark Southwell outlined the next ten years. Under RNLI management the lifeboat initially operated out of Shepard’s Wharf. Thanks to a1 Million Pound appeal led by actress (then Cowes resident) Celia Imrie the operation relocated to its present home, the ex-Customs House which dates back some 300 years. For Mark this was a coming home having worked for HM Customs prior to his association with the RNLI. 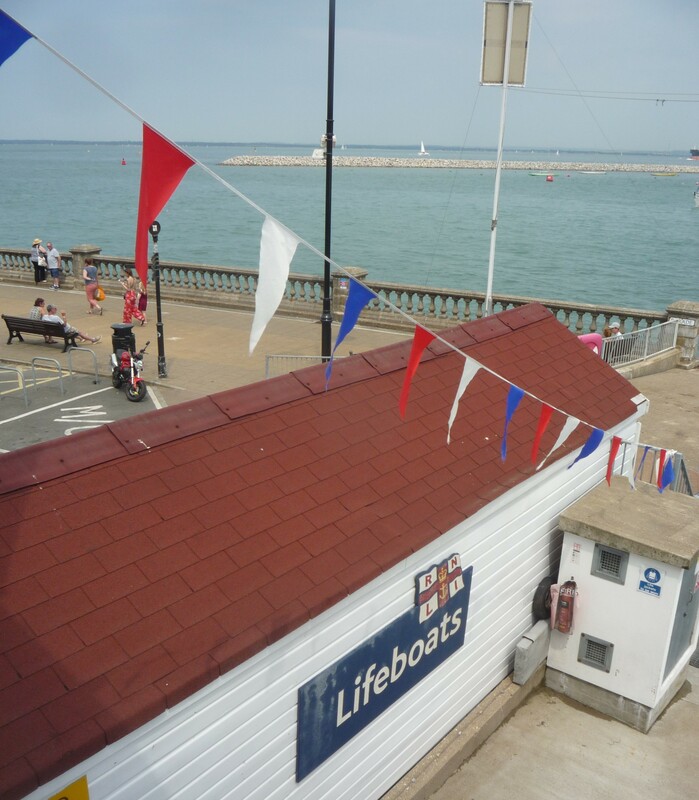 Cowes Station RNLI now offers education for the public on all matters on sea safety. 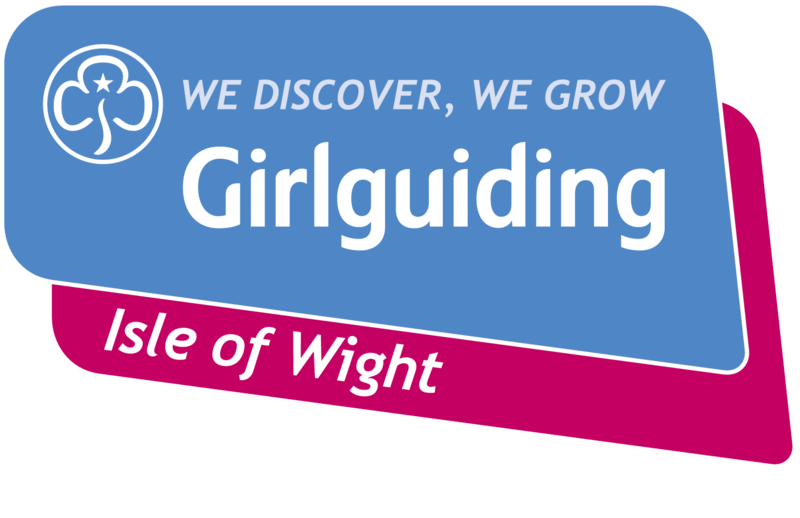 Schools and Girlguiding IW Units have been amongst those attending and some Girlguiding IW units have selected the RNLI as a charity to support. IW Lord Lieutenant Major General Sir Martin White, President of the RNLI IW Lifeboat Board made the closing remarks. He said he had admired the evolution of the operation of the lifeboat service over the years and was glad to have played his part in securing HM The Queen’s attendance for the official opening of the lifeboat station in Cowes.